Elanor paid $43.75 million for the Belconnen Markets in the ACT and $35 million for the Campus DXC complex in Adelaide’s Felixstow. The Adelaide acquisition was made by Elanor's main unlisted office fund. The Belconnen purchase was achieved after setting set up the Belconnen Markets Syndicate and included the market, the adjacent car park and vacant land site measuring a total land area of three hectares. Elanor has since revealed plans to benefit from the site’s “strong redevelopment potential”. 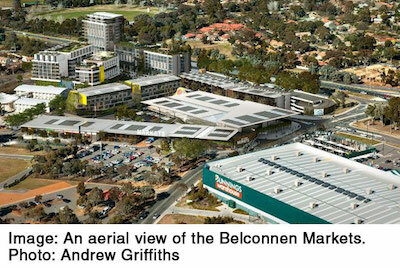 “The Belconnen Town Centre Master Plan, endorsed by the ACT Government in September 2016, permits the Belconnen Markets site to be redeveloped into a mixed-use precinct of retail, office and residential accommodation,” Elanor chief executive Glenn Willis said. The site’s development potential lies within its proximity to complementary retail amenity, including Bunnings Warehouse and Westfield Belconnen, as well as significant neighbouring employment and high density residential developments. The acquisition of Belconnen Fresh Food Markets represented a passing yield of 6.85 per cent. The Belconnen Fresh Food Markets first opened in 1978 and was further redeveloped in 1996, 2002, 2007 and 2012.